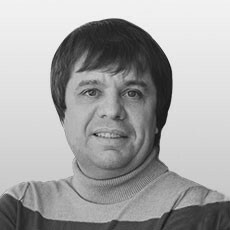 Oleksii Vynogradov is a serial entrepreneur and investor with twenty-five years of experience. In this time he has created nine companies. Mr. Vynogradov’s professional background is business and team development, software/hardware engineering, sales, and finance. For the last eight years, he has been focusing on the healthcare area with a company called HeartIn, which is creating a unique smart Garment with built-in sensors that brings wellness solutions and cardio-diagnostic to the mass market in a user-friendly comfortable design.